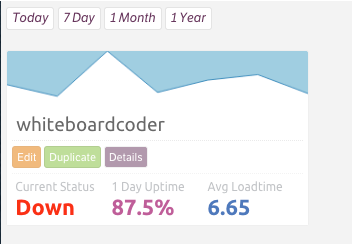 I would like to monitor uptime on a webserver from outside my systems. 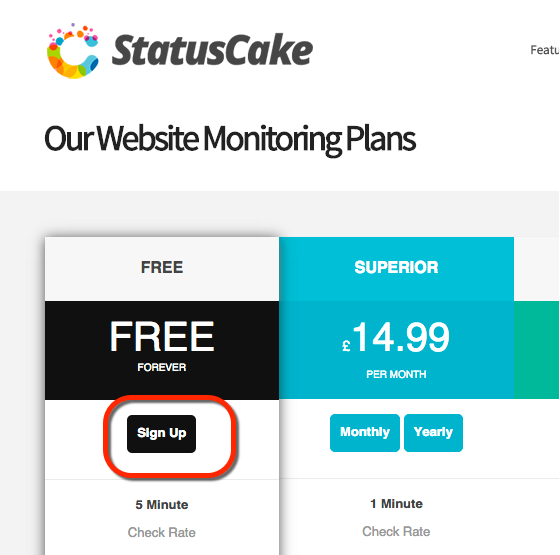 Looking for an alternative to Pingdom I found StatusCake. 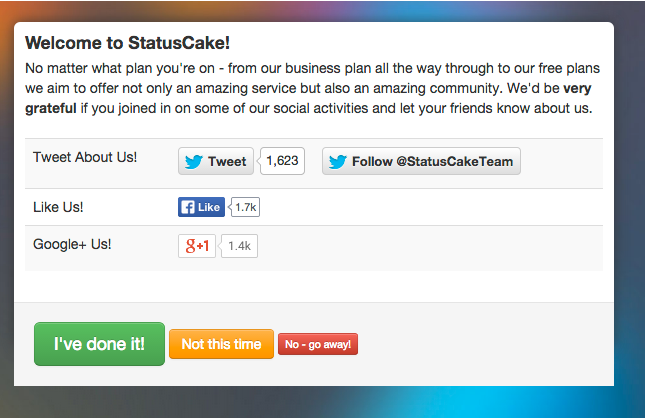 I am going to go over how to do a simple "how to" here for StatusCake. I found this video http://youtu.be/SZRd_Ag3lls  from DailyNerd Tech Review. Starting here is probably a good idea. I did. 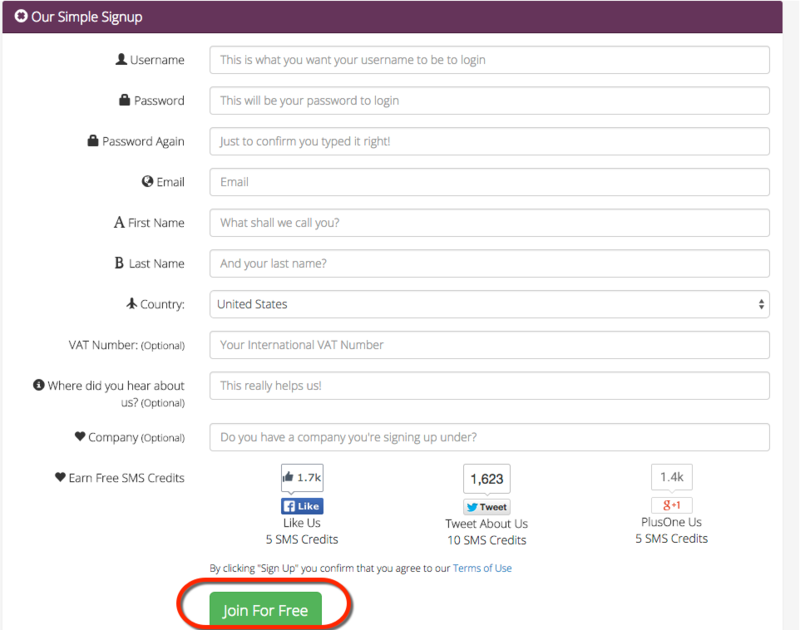 Click Join Now For Free. If you want to tweet about it, as for me I clicked Not This Time. Fill out your information. 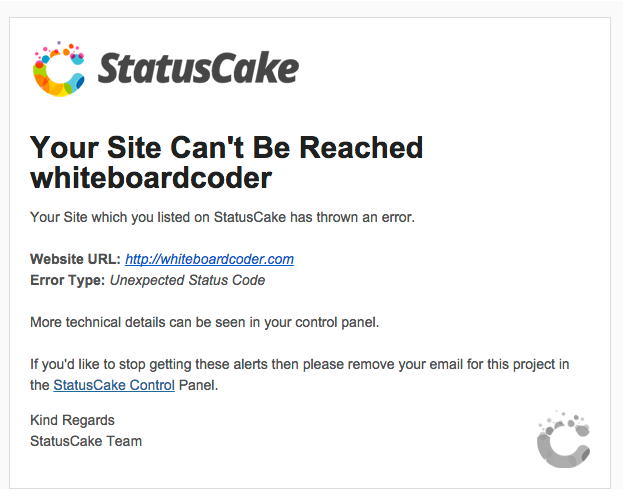 I am checking http://whiteboardcoder.com to see if its up. 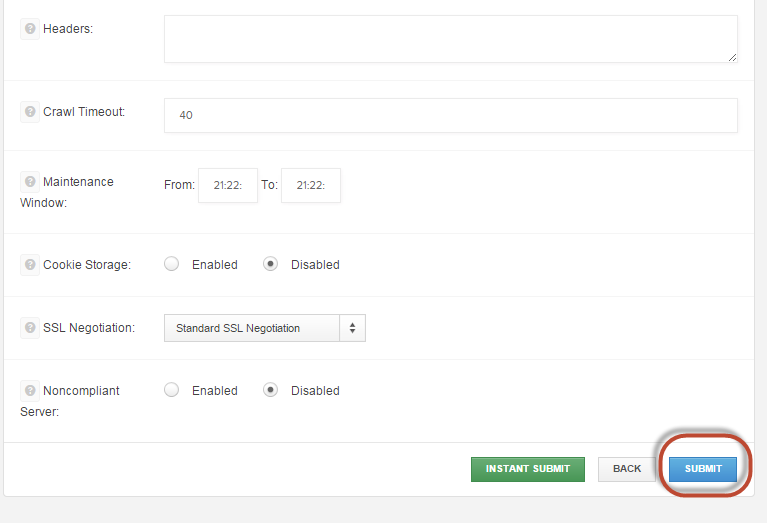 Click Next in the lower right hand corner. I set my Check rate to 5mins. 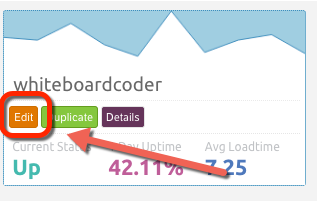 So what exactly is Intelligent Uptime Confirmation? 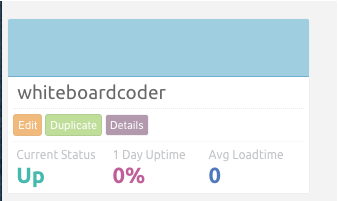 Our system looks at the type of timetime which triggered the original downtime email and then determine if other servers needs to confirm that the site is actually up – we also take into account if it has increased load time which if encountered tells our system to confirm on a few more servers that the test is actually up. 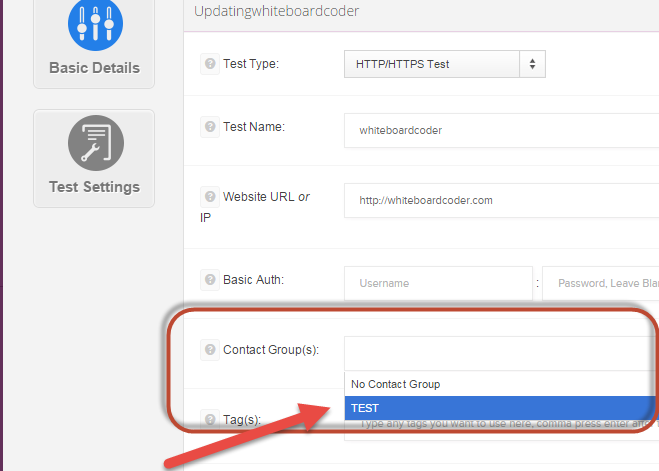 We do all this at the same time as your normal test alerts would be sent so there is absolutely no delay to uptime alerts if you’re site is working as intended and if it’s likely to go down again after a few seconds our test agents will simply wait for the service to be truly up. The way I read that, it looks like if your site ids determined to be dwn it will check from X number of additional servers before It sends out an alert! This is exactly what I want. 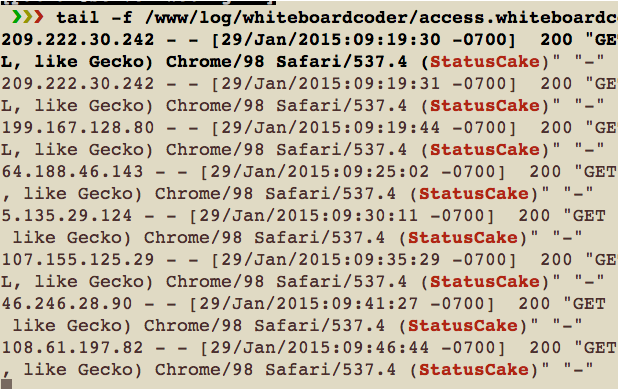 I ran this command to tail my web log and grep Pingdom.com on the results. If I kill my box…. After 5 minutes no message, after 10 no message…. I think I need to set up some kind of alert. 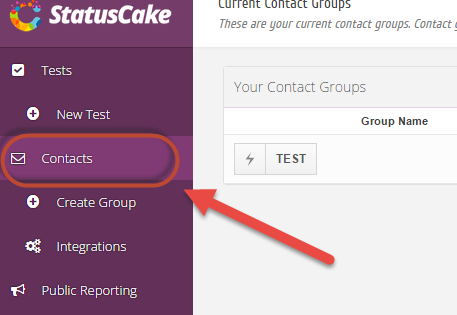 Click in Contact Group and select "No Contact Group"
Click Instant Submit to save it. 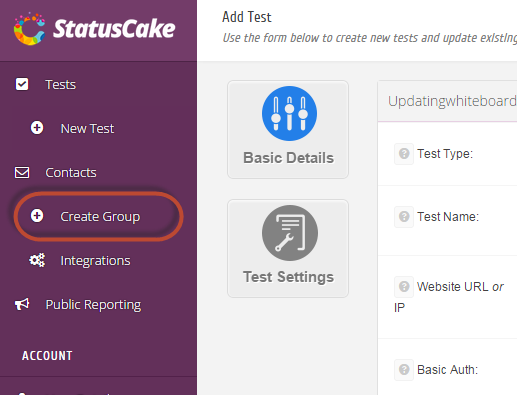 I named the group TEST, put my email in it and clicked Save Changes. It has been saved but it's not being used by any test yet. 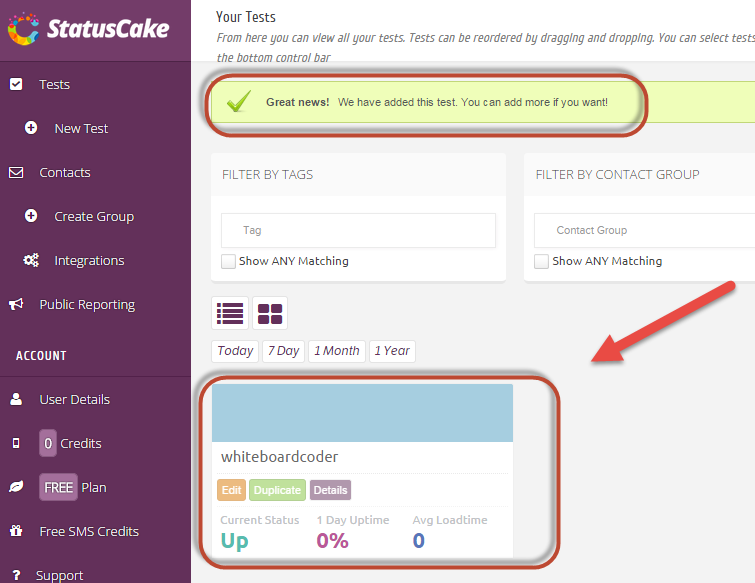 Click on Tests, then click on edit, on your specific test. From the Contact group pull down select "TEST"
After 5 minutes it detected I was down. Then it waited another 5 minutes before it sent out an email (just the way I had it set up). 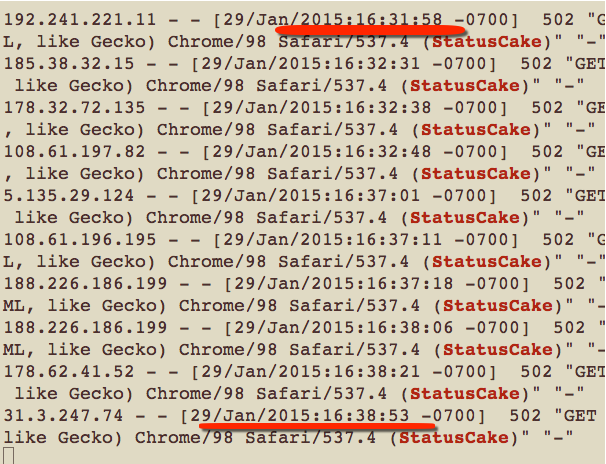 It hit the server 6 more times from 4 different IP addresses. Perfect! 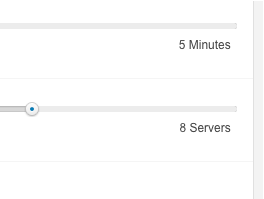 I upped the confirmation servers to 8. 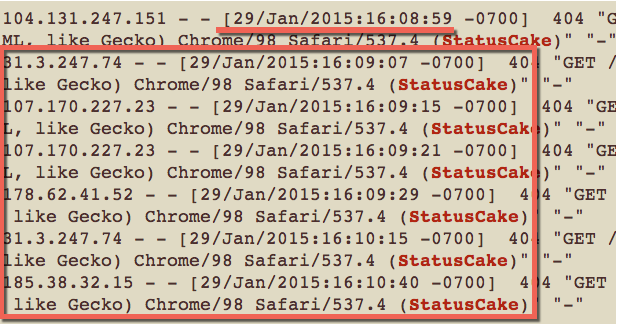 Brought my site back up, then back down again. It took at least 8 checks before it was listed as down. Then another 8 minutes before it sent an email. 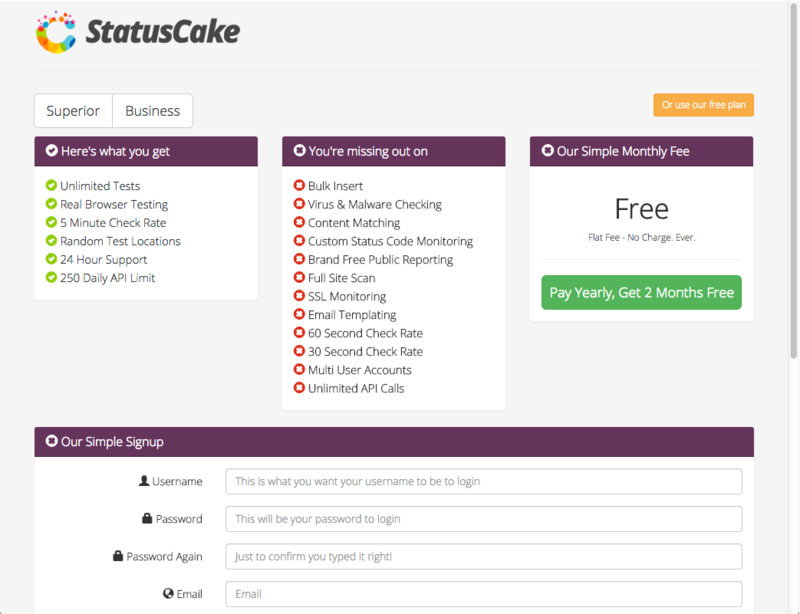 I like StatusCake. I think it’s a winner! I just need to try out a few more of its features. 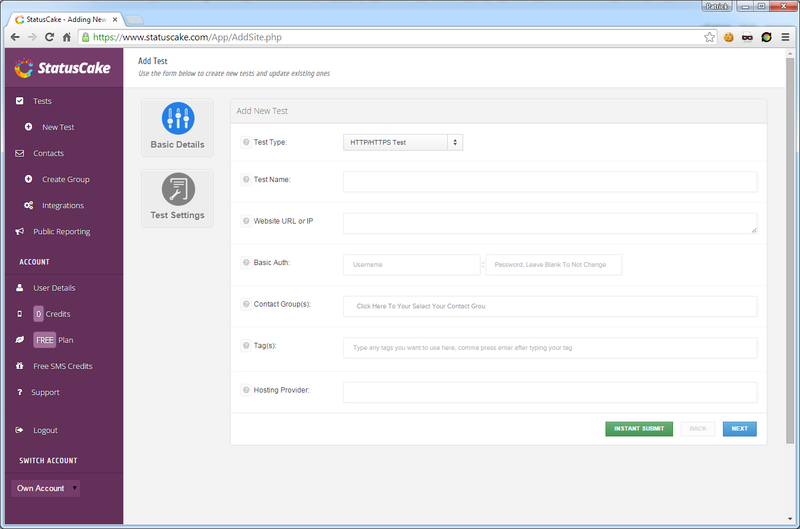 API and Webhook. 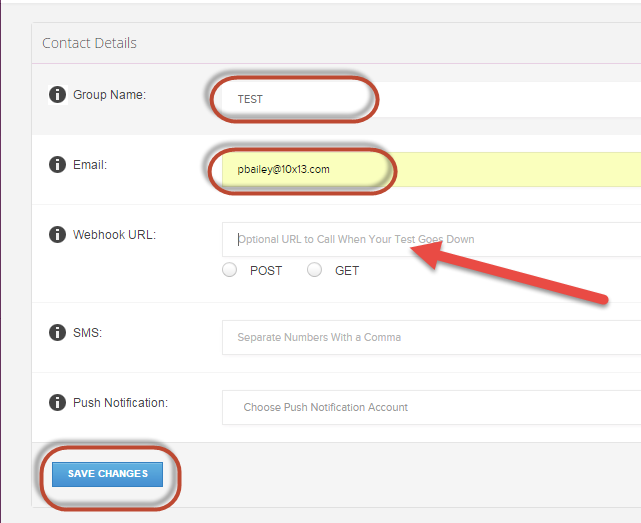 Avospy.com check your web every 1-5 minutes and let you know instantly when something goes wrong via e-mail/SMS. 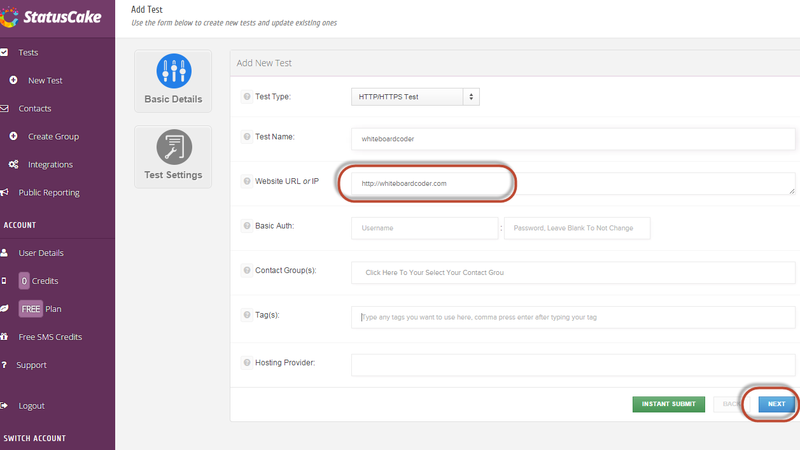 You can set various Watchdogs for checking many parameters of your or your competitors websites. 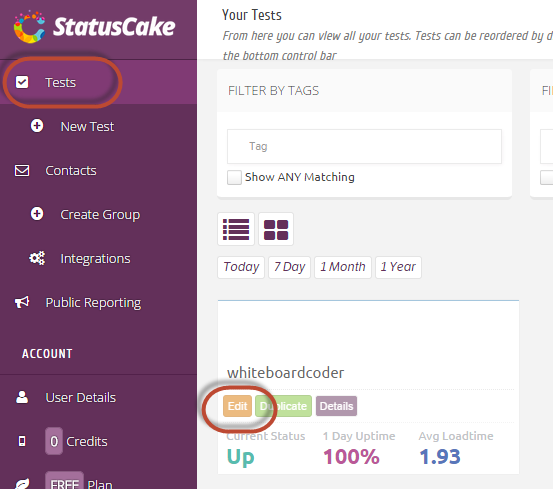 In the dashboard you will see all the important numbers and statuses. 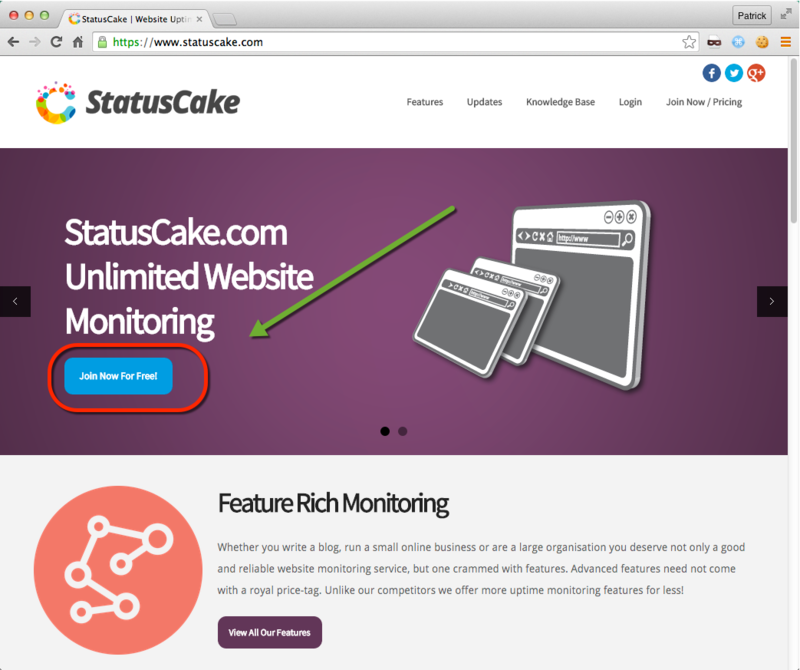 You can also analyze your website for free and then register with 14 day free trial.